WHERE DO I START SEARCHING!? With the amount of patent and non-patent information increasing every day, you may ask, “Where do I start searching! ?” Patent Searching: Tools & Techniques will help you sift through mountains of data in search of a few priceless nuggets of information. While every patent search is a learning process, this book will help get you get a head start in the right direction. Conveying patent information in a broader context beyond the patent search, the book also details tools and techniques of patent analysis. Over a dozen writers, with experience in a wide variety of technologies, have contributed to making this book very thorough. Three editors and many advisors with broad backgrounds have made it easy to read. However, the book does have a few minor editorial errors including several typos, a few ambiguous or hard to follow sentences, and incorrect graphics for the section on patent file histories. Despite these minor errors, the book is still a great resource for patent researchers of all skill levels, whether they are inventors, patent attorneys, business analysts, or professional patent searchers. The book’s six chapters cover the following subjects: Patent Law & Examination as Context for Patent Searching, Types of Patent Searches, The Mechanics of Searching, Patent Analysis, Approaches to Reporting Search Results, and Search Tools. Chapters are well annotated, helping readers easily locate additional information. Chapter One, Patent Law & Examination as Context for Patent Searching, covers patent laws and treaties that influence how patents are examined and issued. This chapter will be helpful to anyone wanting to understand the patent examining process better, or wanting to evaluate the quality of a search he or a third party has performed. It provides a perspective on how patent examiners review patent applications in light of patent related legal precedents as determined by court decisions as well as by patent and non-patent prior art. The chapter also covers the parts or nomenclature of a patent and its file history, and it shares how patent researchers, patent practitioners, and business strategists approach patent information differently. Chapter Two, Types of Patent Searches, reviews the different purposes of and techniques for performing patentability, validity, infringement, clearance, state-of-the-art, and landscape searches. Details are also given on knowing when each type of search is needed and on formulating an appropriate strategy for that type of search. Chapter Three, The Mechanics of Searching, provides techniques for searching by keyword full-text, patent class/subclass, patent forward and back citations, and foreign document searching. Techniques on researching an invention based on the invention’s form and function are also provided. The writers emphasize that the researcher must clearly understand the invention, the invention’s context in an area of technology, and the objectives of the search. The chapter provides information on determining what keywords and equivalent terminology to use. A guide to finding the appropriate patent classes/subclasses using the United States Patent & Trademark Office (USPTO) guidelines is also included. In addition, there are instructions on how to contact a USPTO patent examiner for a recommended field of search (note that a patent examiner’s field of search advice is only available for patent novelty searches). A recommended field of search states what patent classes and subclasses a patent examiner would review for prior art (prior inventions) if she were examining a patent application based on the invention being researched. Guidelines to evaluate “found” documents in light of the search type (patentability, validity, etc.) and invention technology area (electronic, business method, mechanical, etc.) are also shared. The document evaluation guidelines may also help determine when to end a search. The chapter concludes by highlighting the limitations of different search techniques based on both an individual patent searcher’s skill and patent database/search engine limitations. Chapter Four, Patent Analysis, covers patent analysis for gleaning information useful to business decision-makers. Instructions on how to establish a clear objective before performing this type of search and proper ways of analyzing the data gathered are included. The chapter warns of pitfalls to avoid when looking at data in a statistical manner. The writers emphasize that the analysis is only as good as the data being used and also depends heavily on the skill of the person doing the research and creating the report. Ways of graphically communicating patent analysis information clearly–information that may otherwise look like meaningless data when presented in numeric form alone–are also covered in this chapter. As the title, Approaches to Reporting Search Results suggests, Chapter Five covers techniques on reporting search results. An effective search report makes information easier to understand and more useful for the end-user. Search report tips in this chapter include how to write a clear search report summary, how to prioritize references, and what to include in a search strategy history. Chapter Six, Search Tools, gives an overview of many free and fee-based search tools available today. Tips are given on selecting search tools based on data coverage, pricing, usability, and other features. Specialized search tools that aid in chemical, genetic, mechanical, electronic, and other technology areas are also reviewed. A brief overview of how to use several different patent search engines is also presented here as well as in other chapters of the book. Details for finding non-patent literature, which is more critical for some technology areas than others, is also included in Chapter Six. One idea shared is that while using a patent search engine with a lot of bells and whistles is okay, the experience level of the patent researcher is a more important consideration. The book does not include information on the importance of newer patent search tools that use latent semantic analysis (LSA) search technologies. As defined by Wikipedia.com, LSA is a natural language processing technique, “in particular in vectorial semantics, of analyzing relationships between a set of documents and the terms they contain by producing a set of concepts related to the documents and terms.” Use of LSA in conducting patent research is critical as it often aids researchers in finding references unintentionally missed due to the limitations of keyword and class/subclass searching. The Patent Café ICO Suite, an LSA based patent search system on the market for several years, is included in this book only as part of a general list of patent search engines. In general, Patent Searching: Tools & Techniques covers more advanced uses of patent search engines. Please note that the book assumes that the reader has some patent search engine experience. If you do not have patent search engine experience, you can obtain background information by going online and using free patent search engines, such as www.freepatentsonline.com or www.google.com/patents. Both of these free patent search engines have online instructions. Depending on your skill level, you may also be interested in reading Patent Searching Made Easy by David Hitchcock, which covers the basics of using patent search engines. Patent Searching: Tools & Techniques will benefit its readers in many ways whether they are inventors, business strategists, professional researchers, or patent attorneys. Add this book to your reading list today. 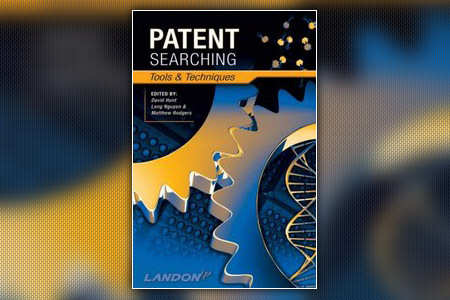 Click here for a review of Patent Searching Made Easy. Glen Kotapish is president of the Independent Inventors Network of the Capital Area (INCA), www.dcinventors.org. He is founder of www.PlanetPatent.com, Professional Patent Search Services, which performs research for independent inventors, large and small businesses, patent attorneys, and patent search firms. Glen is also a member of the Patent Information Users Group (PIUG), www.piug.org, and the National Association of Patent Practitioners (NAPP), www.napp.org. He can be contacted by e-mail at search@planetpatent.com or by phone at 1-866-U-INVENT or 410-391-4258.